I started my career in training over 20 years ago at QA Training as a NVQ Trainer and Assessor. From there I moved to the Forensic Science Service in the Training and Development Department. Over 15 years I moved up through the company from an Administrator to ICT Project Manager and Chair of the Employee Forum ( A Senior Leadership role). The Government closed the Forensic Science Service in March 2012 as part of the cuts. As I'd spent the last few years working very long hours and travelling around the country working with all our labs, I decided to take on a complete career change. I had been wearing Gelish on my nails since just after it was launched in the UK and loved the product. I decided to become a nail technician and set up my own mobile business. Coming from a training background, I've always viewed training as an investment and not a cost so I took new classes every year and learnt new skills to keep up to date and challenge myself. In the summer of 2015 I was extremely proud to be asked to become an Educator for nail Harmony UK. I flew off to Los Angeles for Educator trining and passed the intense course. 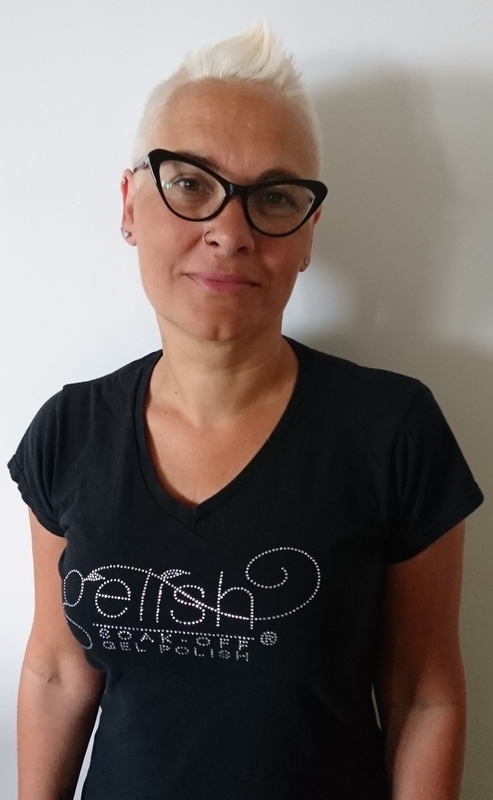 I'm now the Worcestershire educator and am looking forward to helping you all with your career's in nails, complete starters or those investing in their future by adding new skills and services to your portfolio's.